If you follow me on Instagram or Twitter, you probably aren't new to the fact that I love sharing positive affirmations and excerpts from my daily devotional. I gain so much inspiration daily from my devotional and quotes I read online. They give me just the right boost to start the day so I love sharing them in hopes that it does the same for you. Over the last week, I have been reading a lot about loving yourself in my daily devotional. Love is always a popular topic, but how often are we discussing loving ourselves? I can't tell you all how excited I get when I find incredible pieces on clearance. In fact, I honestly can't remember the last time I paid retail price for anything. I always keep a coupon or promo code in tow and if a coupon can be used on clearance, even better! Late last year, I was visiting my mom and one of our traditions is always to go shopping. We tend to stick to thrift shopping, but sometimes I like to stop into It's Fashion Metro because they have a huge selection at their Goldsboro location. On this trip, I dropped into It's Fashion Metro and found this plaid jumpsuit after only a few minutes. I went into the dressing room and of course, fell in love with it! Have you created a list of goals for yourself for 2019? I started off the new year thinking about my aspirations and goals for this year and if I'm being honest, it was hard for me to pinpoint the things I really wanted to achieve this year. God has been so good to me over the last few years and all of the goals and things I really wanted to do, He allowed me to achieve. So, how do you create new goals when all the ones you dreamed of before have been completed? As someone told me on Twitter, it is time to dream bigger! 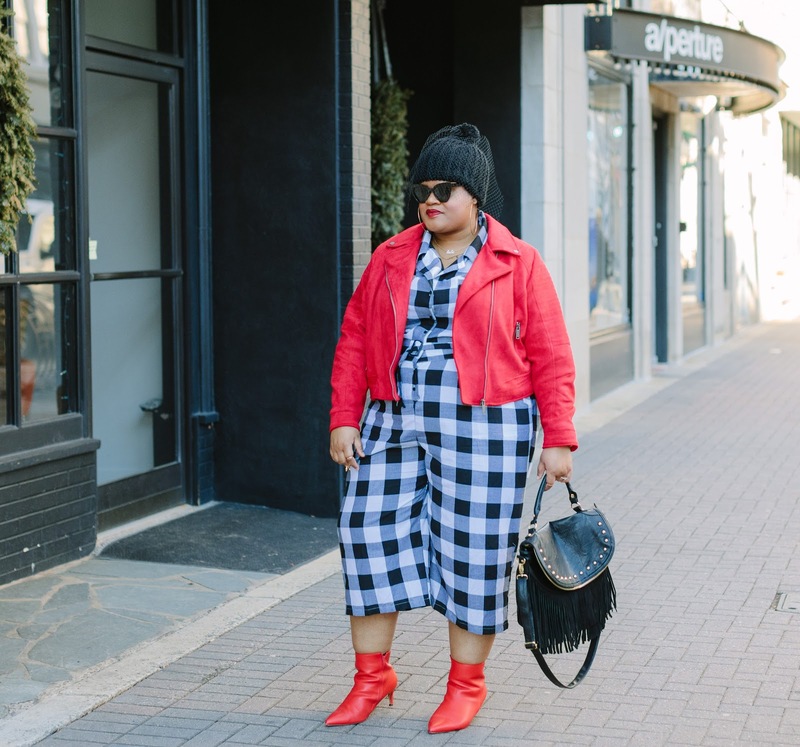 Did you know that one of the best ways to get the greatest deals on pieces for your wardrobe is by shopping out of season? If you're like me, when you shop, you want to wear your pieces now! I totally get it, but it wasn't until I started working in retail that I really saw the power of shopping out of season. We are officially in winter, but do you know I have seen shorts, t-shirts and sandals for as little as $4 over the past few weeks? With seasons going by as quickly as they do, you don't have to wait long to wear your pieces you buy now. Plus, like in today's post, with the right accessories, some out of season pieces can be rocked now. It's rare that I purchase a piece for my wardrobe that I am unsure about. One thing I can certainly say about my wardrobe is that I love 99% of everything I own and that's truly because I have spent much of the last two years trying to be more conscious of the things I purchase. Perhaps working in retail or moving twice over the last five years has done this to me, but either way, I have grown to know the importance of quality over quantity. 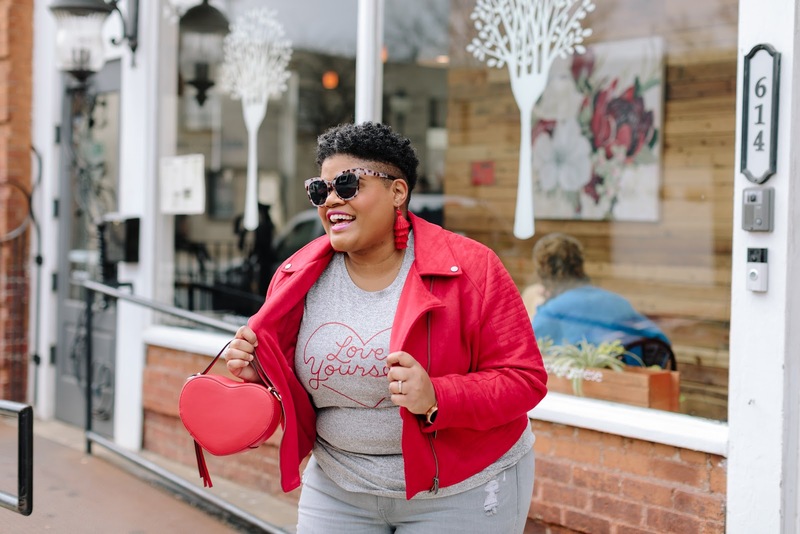 When I purchased the coat in today's post, I loved the way it was styled in Simply Be's catalog, but when I received it, I just wasn't sure if it was the right style for me.